Al Segal, former Lee & Associates broker, has recently joined Pam Scott of GPS Commercial Real Estate Services located in Santa Barbara. Mr. Segal is a leading industrial warehouse & investment expert. For more than 40 years, Al has carved out a niche as an expert in investment banking, securities, and commercial real estate brokerage and development. Mr. Segal started his brokerage career with The Klabin Company in 1973, and became one of their top brokers within a very short time. The Klabin Company, a boutique industrial firm, produced some of the top professionals in the industry. Prior to this time, Al trained on Wall Street as an investment banker with Smith, Barney & Company, and remained in the investment banking industry for more than a decade. 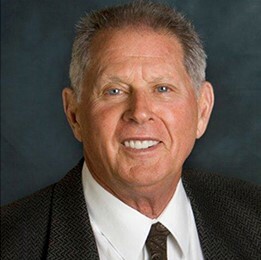 After joining the staff with Collins Commercial in 1984, Al brought a deal to Prologis, the largest industrial REIT, to purchase 53 acres of land in Anaheim from Northrop to construct a 670,000 square foot building for his client, who signed a 10-year lease. Aside from participating in commission on the land purchase and build-to-suit, Al received an exclusive to represent Prologis on 500,000 square feet of spec buildings which he subsequently leased. This deal was one of the largest in Orange County over the span of several years, and was referenced in newspapers as being the turning point of the recession in the early 90’s. Prologis, parcel purchase and build-to-suit – Anaheim, CA 670,000 sq. ft.
Warner Lambert Facility – Anaheim, CA 280,000 sq. ft.
Anaheim Stadium South – Anaheim, CA 200,000 sq. ft.
Radco Building – Santa Maria, CA 62,000 sq. ft.
Souza Foods Buildings – Santa Maria, CA 35,000 sq. ft.
Industrial Parkway – Santa Maria, CA 103,000 sq.ft.